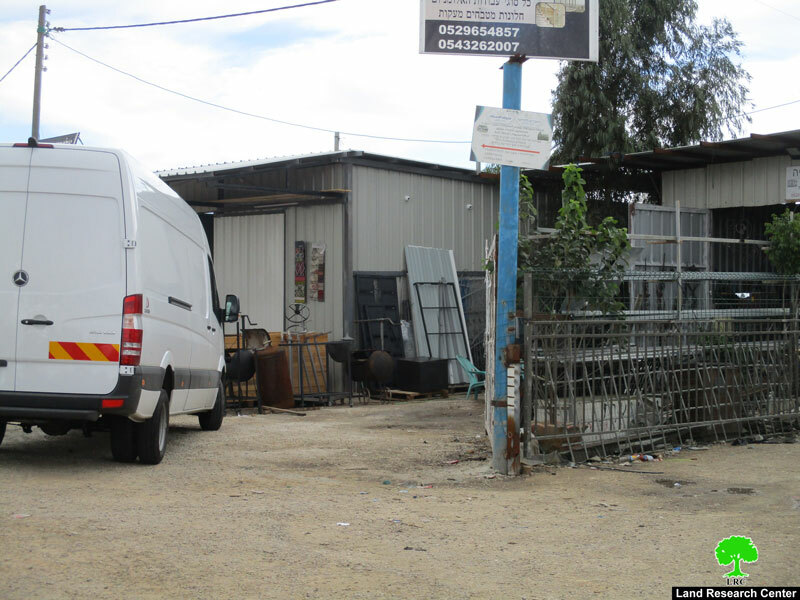 A force from the Israeli occupation accompanied by a staff from Planning and Construction Committee- Israel Civil Administration raided on November 12, 2017 Haris village from the western side and delivered two residents stop-work orders, targeting a mechanic shop and blacksmithery. 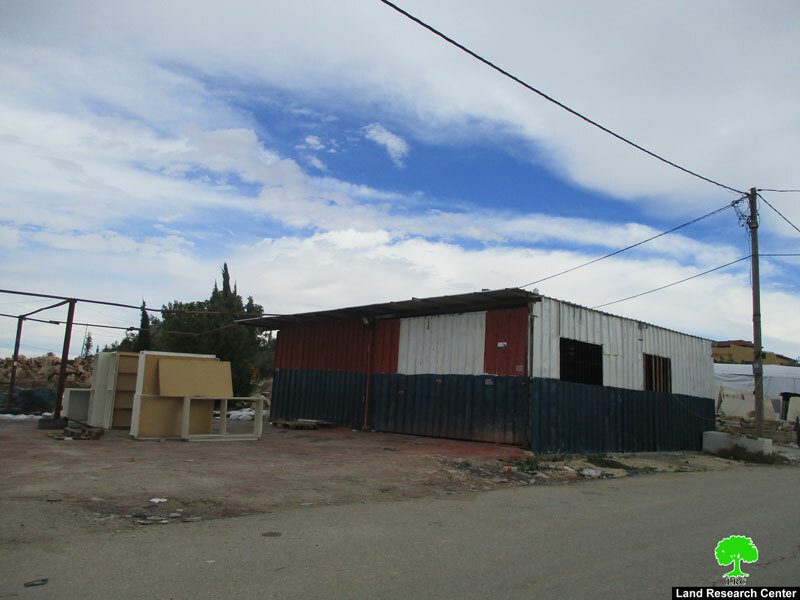 Noteworthy, the two workshops are founded on the bypass road "Abir Al-Samera" and belong to brothers Fadi and Nadi Dawoud. 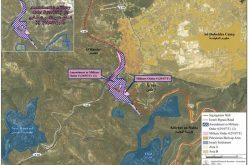 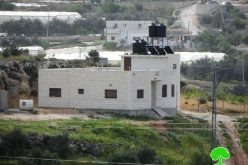 Reportedly, the orders assigned December 01, 2017 as the hearing session in the court of Beit El colony to consider the status of the notified structures. 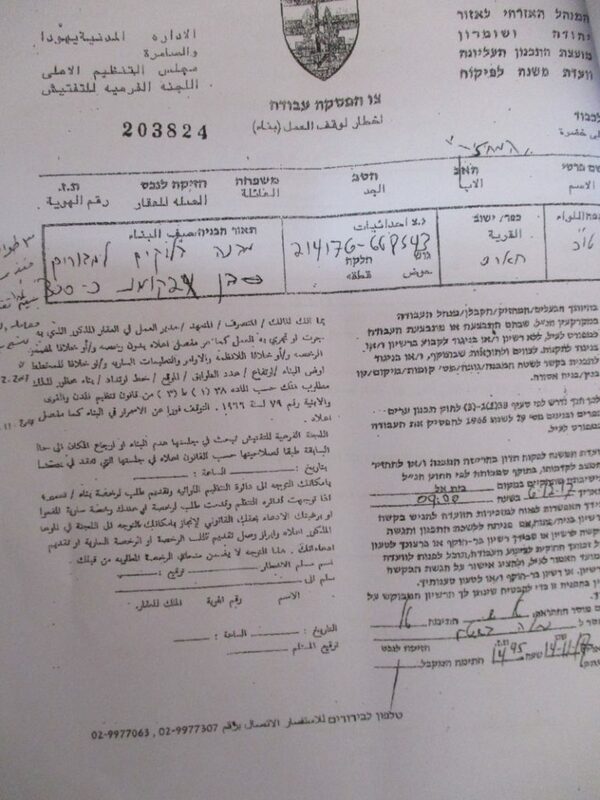 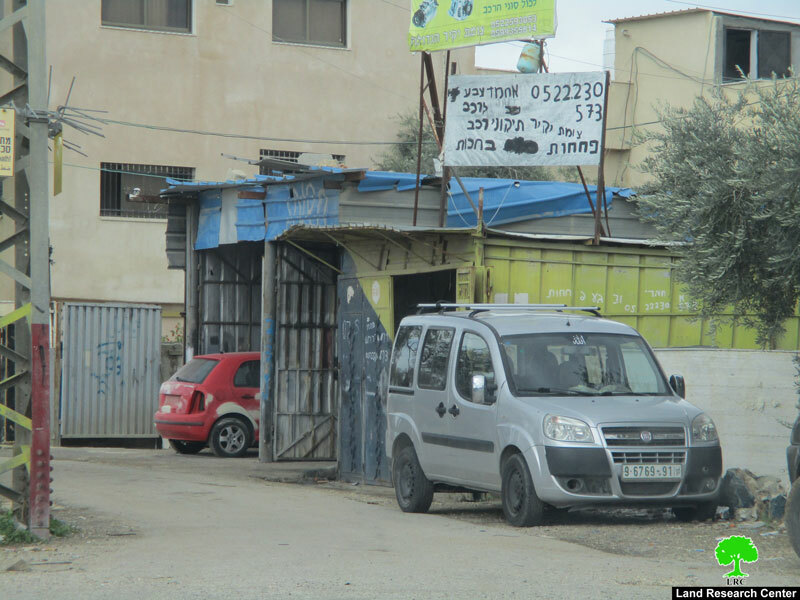 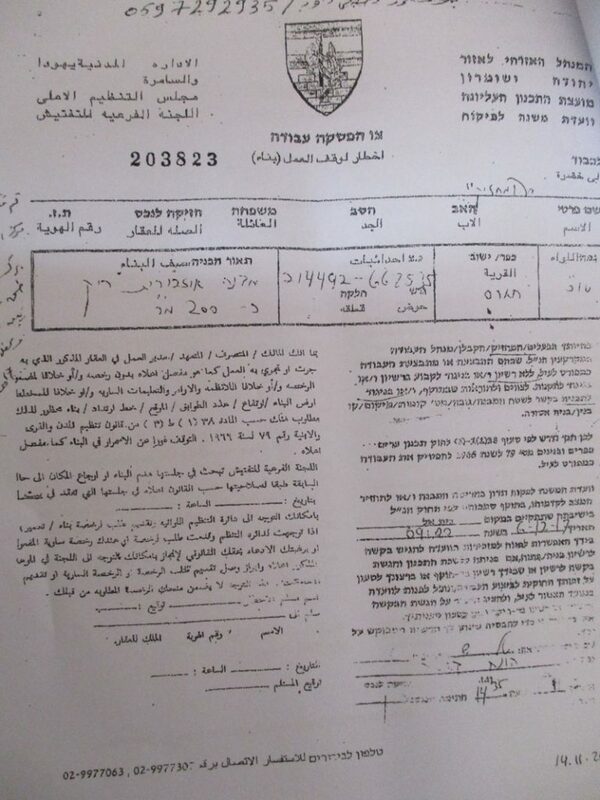 In the same context, an Israeli military force raided on November 14, 2017 the northern part of Haris village and delivered citizen Jamil Dawoud a stop-work order targeting his workshop on the claim of "unlicensed construction". 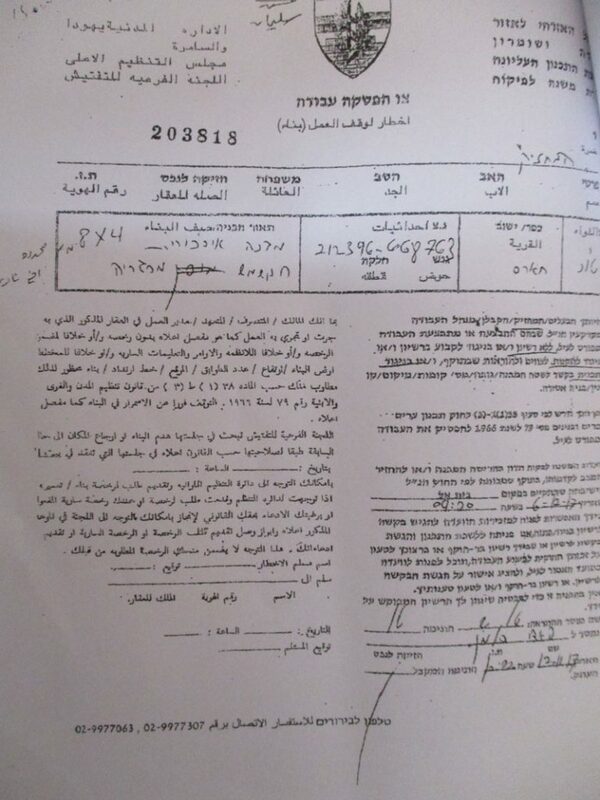 Also, citizen Husam Jaber was served another stop-work order on his three story house that is founded in the western part of Haris village. 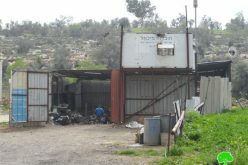 The residence was supposed to be home for the affected eight member family and his brother's five member family as well. 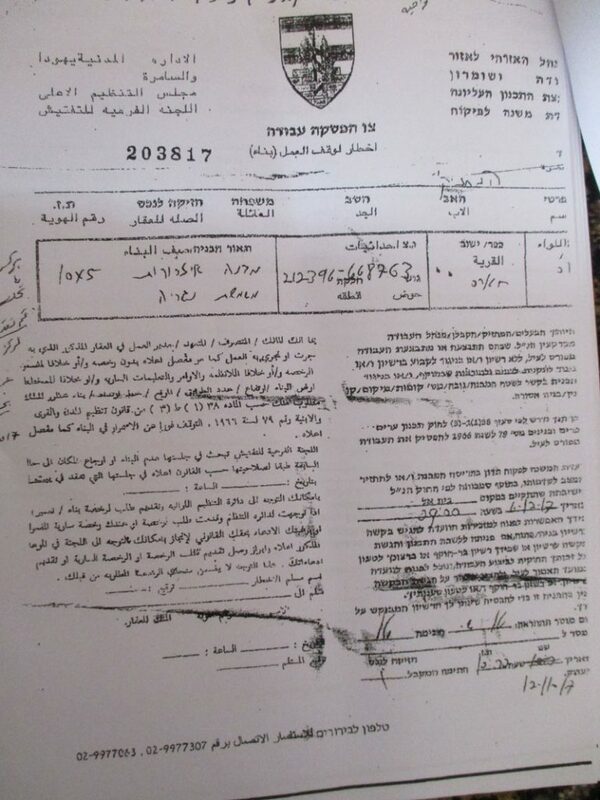 The recent order assigned December 12, 2017 as the hearing session in the court of Beit El colony to consider the status of the notified structures. 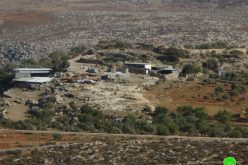 It should be noted Haris village received more than 33 stop-work orders on different structures including houses, workshops and other facility until 2016. 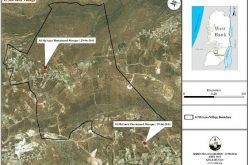 The occupation justifies the issuance of stop-work orders under the pretext of building without licenses in area classified as area "C" according to Oslo Accords. 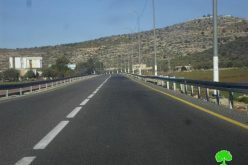 7km to the northwest of Salfit governorate, Haris is there with a total land area of 8769 dunum, of which 190 is the built-up area. 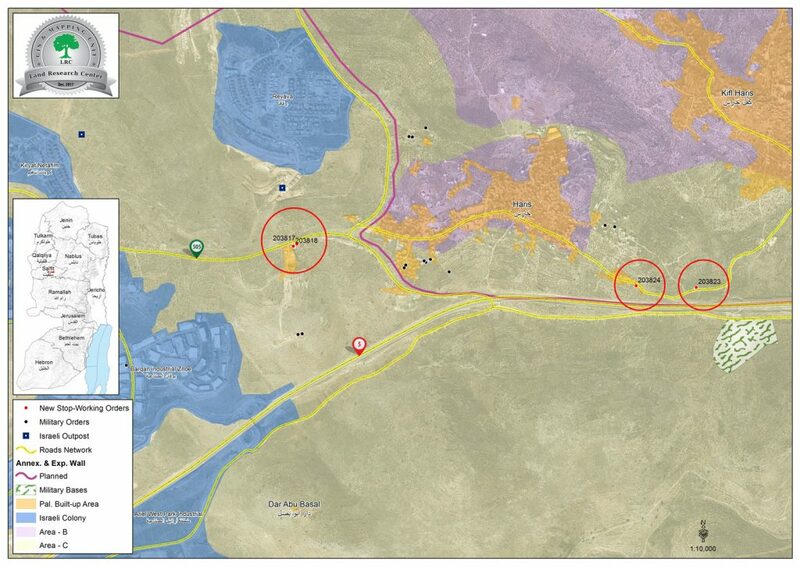 Haris is surrounded by the villages of Deir Istiya from the north, Kifl Haris from the east, Kfar ad-Deek and Bruqin from the southwest and Qarawat Bani Hassan from the west. 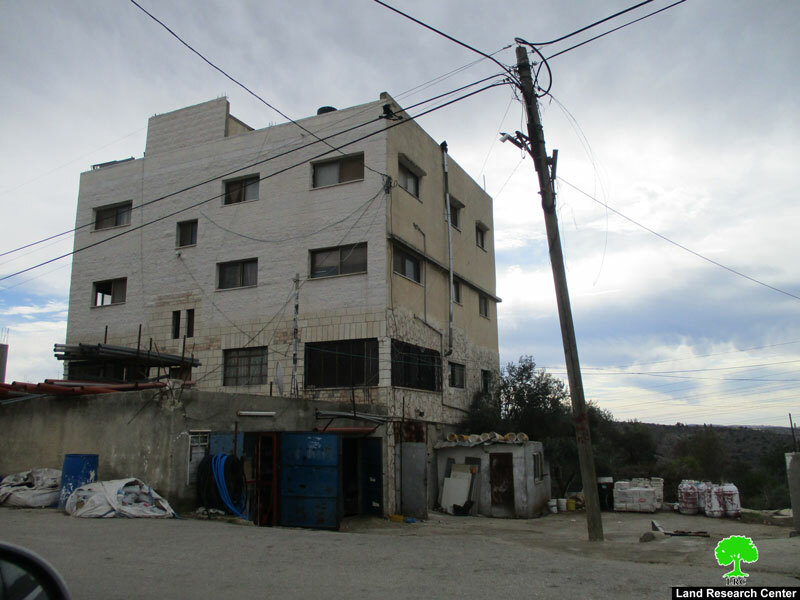 Haris has a total population of 3740 people according to the census of Palestinian Central Bureau of Statistics for 2009. 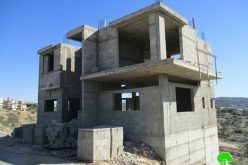 Those people relate to the following families: Abu Atta, Dawoud, Salamih, Sultan, Shihada, Souf, Faz', Awwad, Qasim, and Klaib.